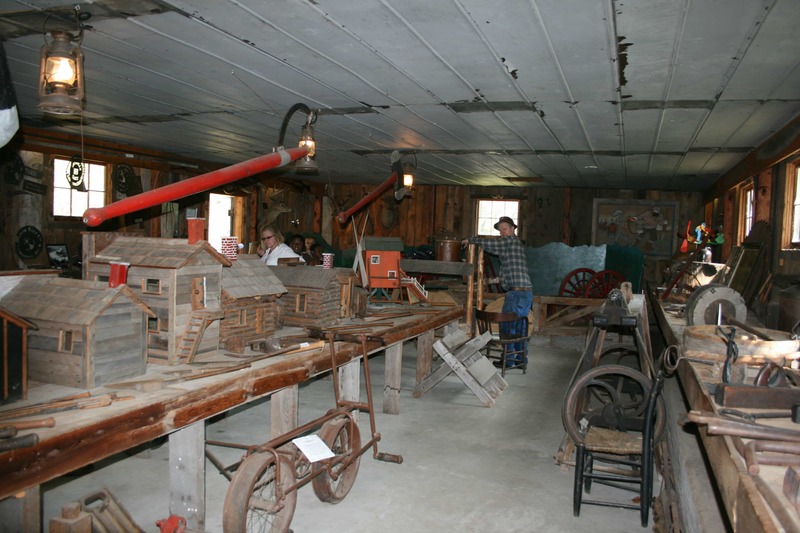 The lumber camp style building houses Abe Nelson’s lumbering collection. 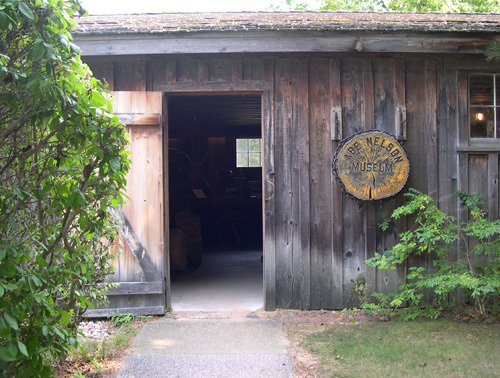 Lumbering in Mason County began with a primitive mill on the shore of Pere Marquette Lake. 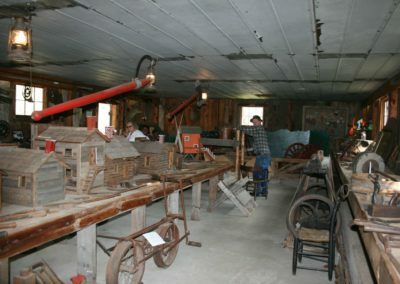 The mill was built in the late 1840’s and leased for many years by Charles Mears. This region was natural for a lumbering industry. The Pere Marquette River and lake as well as Lake Michigan provided excellent means of transportation of logs and finished lumber. The lumbering era was in full swing by the 1870’s with little thought of the future. By 1910, this era was coming to an end as the supply of timber was depleted and logs were imported to meet the needs of the area. 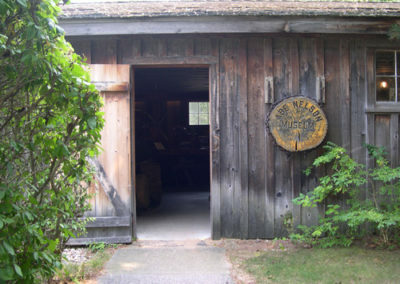 Abe Nelson donated many of the items in this museum from a similar museum he owned and allowed school kids to tour in Ludington, personally telling them of stories he recalled of life in the lumber camps. His personal hero was Paul Bunyan and he made items for the museum to appear oversized to help capture the imaginations of young and old.